Happy Book Birthday to Adam, Levi’s right hand man. Grab it for #FREE today! As one fan told me #soexcitedicouldpee, I’m there. I’m ready. Sooooo ready. Wednesday is approaching fast and I mean really frickin’ fast! But not fast enough. September 7th is going to be EPIC!! Awakened (The Fighter Series #3) releases September 7th. It’s right around the corner and I’m pretty excited about it. I’m still working on my cover. I hate I’ve had a hiccup that’s leaving you all in the dark, but I promise…very soon, you’ll have it. The moment it’s done, I’ll spread the love everywhere. 🙂 Thank you for being patient with me. With that said, I’d like to tease you with a teaser. The first one. Add Awakened to your Goodreads TBR here. I’ve been desperately wanting to share information about Awakened with you for awhile, but there is one thing standing in my way–a synopsis. I’ve been working on it for days, hours, shouting at the words that make no sense and sound like hell. For those of you who don’t know, a synopsis is evil. I have to shorten my 60k worded book down to a bare minimal without giving you too much details and still keep your interest. Long story short, I don’t have a synopsis ready for you…YET. But I promise, it will be soon. I just need to meditate for 36 hours, soak in a bubble bath, and have a masseuse to work out the kinks in my neck. 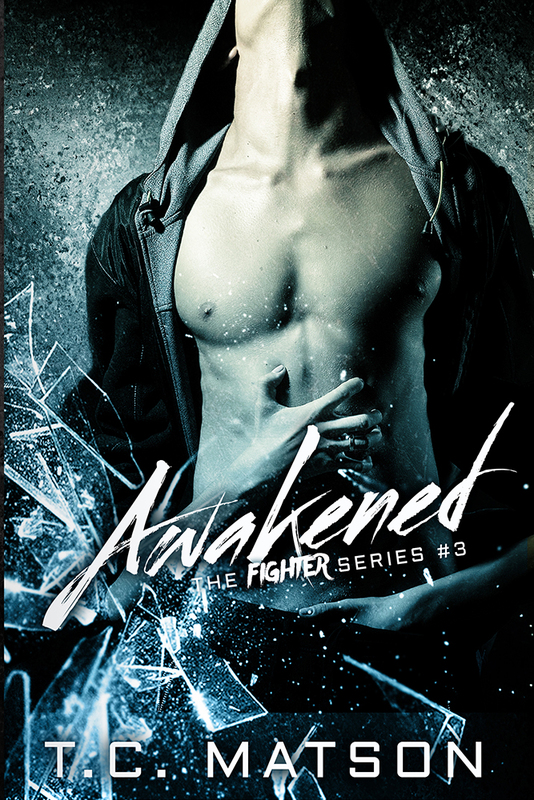 Awakened (The Fighter Series #3). I don’t have a definite release day either. (Gah. I’m unorganized like crazy.) Rough guesstimate–September or October, depending on how quickly everything falls into play.